Subsdance is the debut release from MindDesign member and Vienna-based producer Open Tribe. Ranging from 142 to 145 BPM this release features full-on psytrance with punching kicks and driving bass lines as well as acoustic instruments like guitar and baglama, all played and sampled by the artist himself. The first track, Baglama Jam, was mixed and mastered in cooperation with SunExperience, one half of MayaXperience and a member of Soundlab Pirates. Each track is unique in its own way and is fun when listened to at home as well as being blasted on the dance floor! 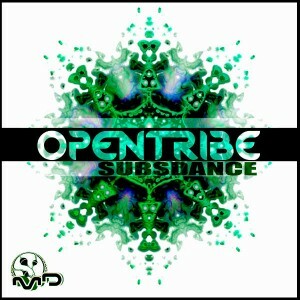 Mastering by Open Tribe and SunExperience with artwork by Mindbug. MP3 Download | FLAC Download | WAV Download · Download count: 6,333.
ach ja, thx for sharing!!! Hey guys, Open Tribe here! Thanks to Ektoplazm for the release! Very nice Full-on! Full of creativity and awesome ideas! Any help is highly appreciated, thank you guys!